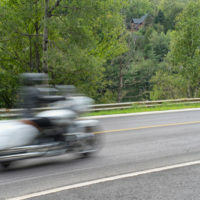 In many other parts of the country, the number of motorcycle crashes begins tapering off in early fall. It is simply too cold to ride. But that’s not the case along the Treasure Coast. These wrecks continue almost unabated throughout the late fall, winter, and early spring months. The problem is a serious one. Statistically, vehicle-on-motorcycle crashes cause about thirty times more fatalities than vehicle-on vehicle collisions. Due to the serious nature of the injuries in these crashes, compensation may be substantial. It usually includes damages for both economic losses, such as medical bills, and noneconomic losses, such as pain and suffering. Additional punitive damages may be available as well, in some cases. What Causes Port St. Lucie Motorcycle Crashes? Alcohol is one of the leading factors in all vehicle collision cases, including motorcycle crashes. This substance both slows muscle reflexes and impairs judgement. When these areas are affected, driving is very dangerous. Drowsy or fatigued driving is a widespread problem as well. People who would never think of drinking and driving routinely drive home after a long day at the office or a long night out with friends or family. Yet alcohol and fatigue affect the brain in roughly the same way. Driving after eighteen hours without sleep is like driving with a .08 BAC, which is above the legal limit in Florida. Left-turn crashes constitute about a third of motorcycle-vehicle collisions in Port St. Lucie. Some police accident reports use initials like TBFTL (turned but failed to look) when assessing blame for these crashes. Indeed, most Port St. Lucie riders who have gone down probably heard the tortfeasor (negligent driver) insist that the rider “came out of nowhere.” That assessment usually has nothing to do with the victim’s riding ability. Instead, it often means that the tortfeasor was simply not maintaining a proper lookout. That is negligence, plain and simple. The safety violation substantially caused the victim/plaintiff’s injuries. Florida law is rather unique in this area. In some cases, negligence per se might only be a presumption of negligence. In Florida, insurance company lawyers may attack both fault in causing the crash and the extent of the injuries that the victim/plaintiff sustains. The aforementioned “came out of nowhere” excuse often blossoms into the contributory negligence defense. The insurance company may claim that the victim was riding recklessly, so the victim was responsible for the crash. Many St. Lucie County jurors believe that motorcycle riders are selfish and careless, so they are ready to embrace this defense. Therefore, a personal injury attorney must be very aggressive when taking on the so-called motorcycle prejudice. Responsibility for injuries may be an issue as well. Most Port St. Lucie courts recognize the helmet defense. If the victim was not wearing a helmet, the insurance company may be able to reduce the damages. However, the insurance company must establish that the victim sustained serious head injuries and a helmet would have prevented such injuries. These showings are not always easy to make. Motorcycle crashes often cause serious or fatal injuries. 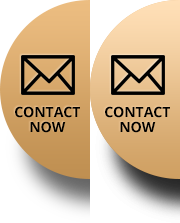 For a free consultation with an experienced personal injury attorney in Port St. Lucie, contact Eighmie Law Firm, P.A. We do not charge upfront legal fees in negligence cases.